A Story of Opportunity - Watch here! Earlier this spring, our founder Mike Kiernan had the exciting opportunity to speak at a TEDx event at the University of Vermont, the theme of which was “surpassing society.” Mike’s talk opened with a discussion of the jarring decline in bee diversity in our region in recent years. Mike explained that when current university seniors were born, there were 17 species of bumblebees in the region. He explained that “There is an ordinary rate of species loss that would suggest that if we lost the first bumblebee species when you were born in 1995, we wouldn’t expect to lose the fourth species until the year 3,400.” Instead, we have lost four species of bumblebees in the past two decades -- the evolutionary blink of an eye. Throughout the talk, Mike’s explanation of the bee crisis connected our work close to home, in Vermont, with similar struggles and solutions across the country and around the globe. The discussion ranged from the monocropped almond groves of California to equatorial Central America, where deforestation has wiped out the tiny melipona bee, which used to pollinate vanilla. The effects of pollinator decline are staggering: the shortage of native pollinators in California is so extreme that 1.8 million hives of honeybees must be trucked into the state annually to support the almond crop. 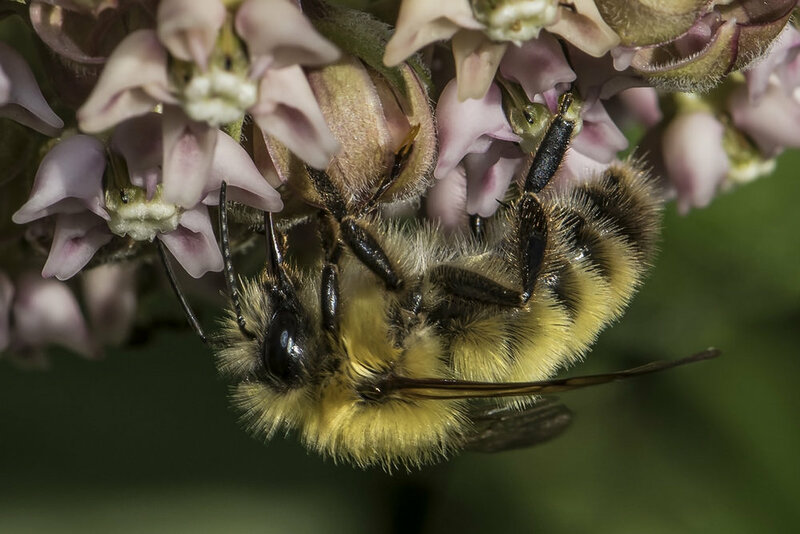 Systems like this one leave the bee population extremely vulnerable to disease, and destruction of habitat further weakens bee species around the globe. Watch the full talk to learn even more about our exceptional and fragile pollinators, their vibrant habitats and all that lies ahead for them and for us.